Sup2T engine architecture & fabric forwarding capability. Compatibility: what legacy line cards & DFCs, service modules, and chassis’ are supported by the 2T? 80Gbps per slot using new (and future) 6900 series line cards. TrustSec: hop-by-hop layer 2 encryption in hardware (MACsec) & security group tagging compatible with the Nexus scheme. Data center virtualization features: MPLS, VPLS, fat pseudowires, and more. Is FabricPath/TRILL coming to the 6500? Sounds like it. Sup2T initial code release has feature parity with IOS SX 12.2(33)SXI3 on the Sup720. Sup2T VSS capability is single sup per chassis today, but quad sup SSO is coming. What’s the development path of the Sup720 in conjunction with the Sup2T going forward? Will the Sup720 be abandoned? When will we see IOS 15.0 on the 6500? What’s the licensing structure going to be for the 6500/Sup2T? 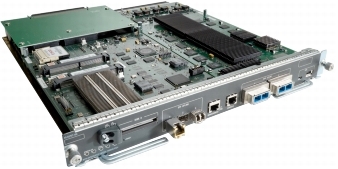 Will service modules continue to be a big driver in a Sup2T-powered 6500? How do you squeeze as much performance as possible from a 6500? What’s the IPv6 performance & feature set like on the Sup2T? Scott talks about his favorite Sup2T feature: flexible netflow.